THERE were five Ulster winners in Dublin at the weekend, as the talent inside the National Stadium still managed to shine through despite the murky scenes outside the famous venue. 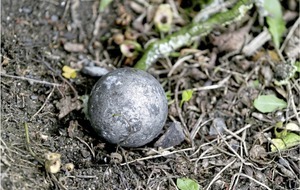 A handful of fights on Friday night’s Irish U18 Championship final programme had to be postponed after a shooting on the South Circular Road at around 9.45pm, with panic spreading among those inside the stadium. Forensic specialists spent hours examining the scene of the incident, part of the ongoing Hutch/Kinahan feud, but at 11am the following morning it was back to boxing. 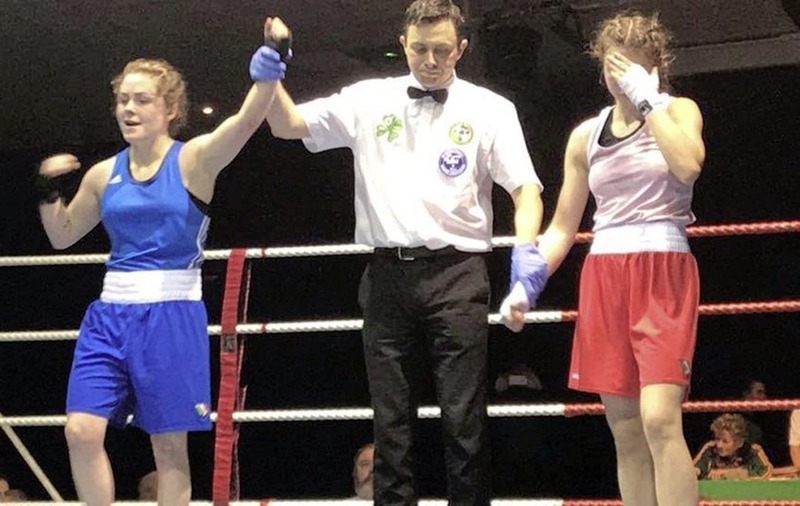 Jude Gallagher, Kane Tucker and Caitlin Fryers all came up trumps in their Irish U18 Championship finals, with Conor Wallace and Conor Quinn both landing national U22 titles. 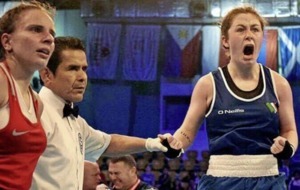 Of the fights that went ahead on Friday, Immaculata’s Fryers has picked up where she left off in 2017 by winning the 51kg title against Orinta Ringyte (Riverstown), while Two Castles light-fly Gallagher edged an all-Ulster battle with Conor Leneghan of St Paul’s. 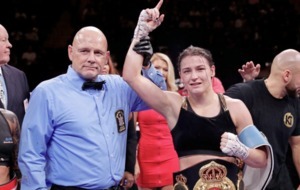 “Jude boxed very well, won all three rounds, but it was a good fight,” said father John Gallagher, who coaches Jude along with Mickey O’Neill. “Conor Leneghan was a year older, he was strong with that extra year’s maturity, and he was very sporting after, him and his coach. Gallagher backed that up at the European Junior Championships last September, beating the favourite and second favourite in his opening two bouts before bowing out in the last eight. And he looks set for more European action at the youth championships in Italy from April 17-26, where he will be joined by powerful middleweight Tucker. The Commonwealth Youth Games silver medallist had been waiting to box on Friday night when the trouble kicked off, but kept his cool to finish the job the following evening as he swept past Jack Lawlor (Thurles). 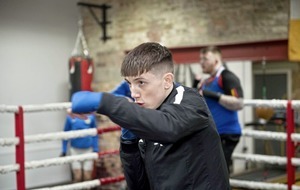 It was an eighth national title for talented Tucker, and the Holy Family fighter showcased his ability against the same opponent he beat in last year’s Irish final. 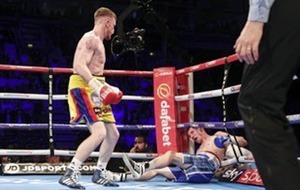 He comfortably took the first two rounds, and towards the end of the third forced Lawlor to take a standing count with a powerful three punch combination as he sealed the deal in emphatic fashion. 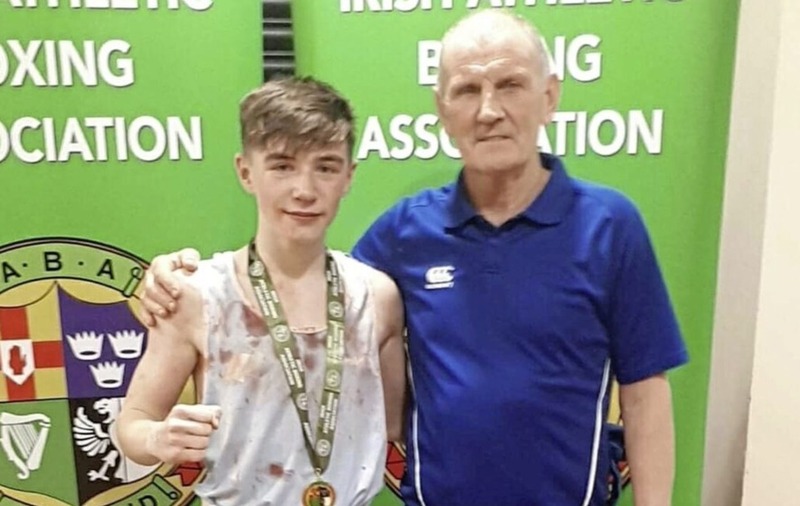 Tucker and younger brother Jake are training under the watchful eye of Irish boxing legend Gerry Storey, and Jake will be trying to match Kane’s success when he also goes for his eighth national title in March. For elder sibling Kane, though, the Europeans provide a possible gateway to the Youth Olympics in Argentina in October. Former Holy Family star Burnett, who now holds two world titles after a stunning rise through the professional ranks, won gold at the 2010 Youth Olympics, and Tucker would love to follow suit. “They’re two great prospects, there’s no doubt about that. They could go all the way,” said Storey recently. “The Olympic dream will be their dream, that’s their target, and it’s the target for everybody who comes into the club. Despite an impressive performance, it wasn’t to be on Friday for Star’s John Paul Hale, as he lost a split decision to Brandon McCarthy from St Michael’s, Athy. Hale looked the part in earlier wins over Oisin Lally (Geesala) and Fionan Rodgers (Dungloe), but McCarthy is a huge talent and just had the edge. “JP had two good wins, and he won the Ulsters in December so he’s been on a good run,” said Star coach Liam Corr. 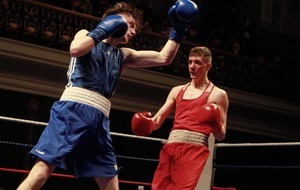 In the super-heavyweight division, Belfast Kronk’s Zack Brennan lost out to Ownie McDonagh from St Anne’s. 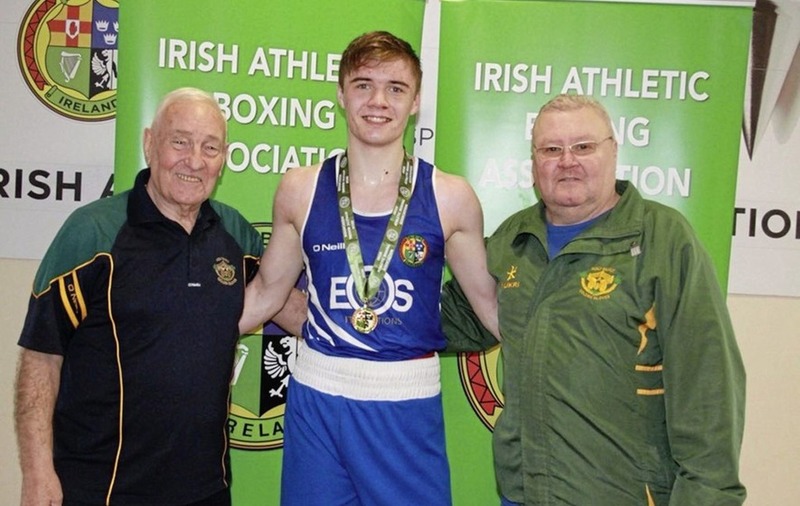 CONOR Wallace had his hand raised on Saturday night after a comprehensive victory over Brian Kennedy in the light-heavyweight final of the Irish U22 Championships. The Newry southpaw was an Irish Elite finalist in 2015 but has since moved up to the 81kg weight limit, and followed up an impressive semi-final win over the highly-rated Jason Clancy (Ballinacarrow) by getting the better of Daingean’s Kennedy. As a result of that weekend success Wallace has now qualified for the European U22 Championships, which take place from March 22-April 2. However, he won’t be part of the Irish squad that heads to Romania. Instead the 21-year-old is Australia-bound as part of the 13-strong Northern Ireland Commonwealth Games team. They leave for the Gold Coast on March 15, with boxing commencing on April 5. Wallace wasn’t the only Ulster winner at the U22s last weekend. 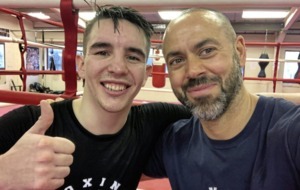 Conor Quinn returned to the ring for the first time since his battling performance against Rio Olympian Brendan Irvine in the Ulster Elite Championships final last November, and the Clonard ace took a 4-1 split decision win over Mark Corcoran from Corinthians. Quinn is determined to get another shot at Irvine down the line, although it won’t come in next month’s Irish Elite Championships as, like Wallace, Commonwealth Games preparation is also likely to see him opt out. There was disappointment though for light-welterweight Matthew McCole, who dropped a split decision to Kenneth Doyle (Monkstown, Dublin).